The airlines don’t give up easily, nor do they give much away. So when U.S. Department Transportation Secretary, Ray Lahood, announced that starting in August , airlines will be required to protect their passengers’ interests much more than they have, there were smiles on the faces of consumer advocates. • DOT is asking that the airlines increase the the money they pay travelers when they are bumped from their flights. • Significantly, the airlines will at last have to include fees and taxes in published fares. This has been an especially onerous burden for travelers who suffer “sticker shock” when they see how quickly a reasonable fare turns outrageously expensive when all the fees and taxes are added in. In a very welcome move, the government expanded the tarmac-delay rule. For U.S. flights, the limit for stranding passengers on the tarmac is three hours. Way too long we think. But now, after incidents in New York where international flights were stranded for ten hours on snow-filled runways, the government says that a four hour delay is tops for international flights. The counter argument from the airline industry is familiar. They claim airlines will cancel flights rather than incur the fine of $27,500 per passenger for violating the tarmac-delay rule. In the case of an Airbus A380, that fine could top ten million dollars if it were fully loaded. The government has never levied these fees. The argument also says that passengers would be more angry at a canceled flight than a much-delayed one. Bumped passengers from oversold flights will now see their compensation raised from between $4-800 to $650-1,330, depending on how long the delay is before another flight is available. 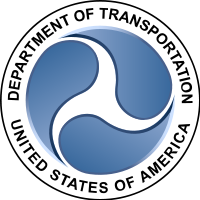 While the Transportation Department declined to make airlines disclose full fare costs to travel agents with whom they do business electronically, the rules are a small but significant step to making flying more civil and fair. Next: Can Shopkick Kick the Travel Industry Into Action?